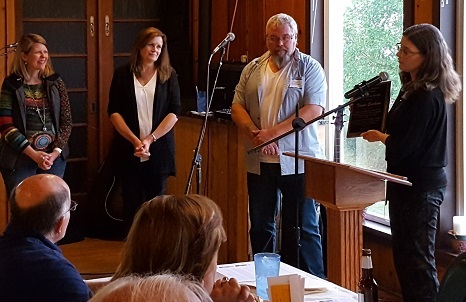 Every other year, the Prairie Star Award ($5,000) recognizes an individual artist whose body of work has made a significant contribution to the arts over an extended period of time, who has been recognized by his or her artistic peers, and who has best exemplified the highest quality of work in the SMAC region. In recognizing these individuals publicly, the awards will raise the profile of the arts in their communities and throughout the SMAC region. Beginning in 2018, nominations must be submitted through our online grant system. LOG IN to begin your nomination. SMAC will next be accepting nominations in 2020.